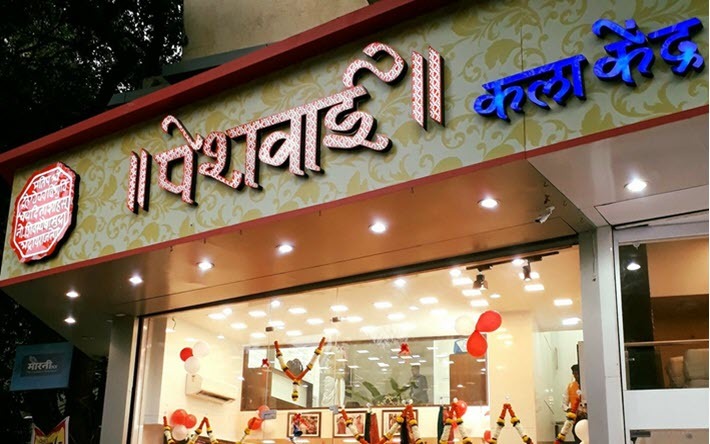 Peshwai Kala Kendra is an exclusive saree house located at Ram Maruti Road. The premium store has a wide variety of sarees (especially Maharashtrian sarees) such as pure banarasi, banarasi shalu, paithani, nauwari, heavy bordered, embroidered, silk, cotton and much more. The outlet has always delivered high–quality and enjoys an A-list clientele such as politicians, celebrities and elite customers.